I need to start with a confession. I’m an election geek! My fascination with elections has taken me to the US to campaign for President Obama and I know an unhealthy amount about the electoral systems in countries around the world. 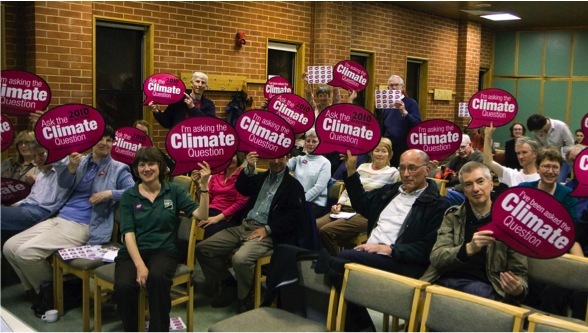 For campaigners, they’re hugely exciting – they engage people in politics and they’re opportunities to shape the agenda for the next government. With just 120 days or so to go until the next UK General Election, there is a huge amount that we don’t know about what the outcome will be on May 7th. That’s a huge opportunity and challenge for campaigners, we could get another Coalition Government, we don’t know which parties will end up in the TV debates, and what will happen in Scotland, with UKIP and the Green Party. At the same time, election campaigns are getting more and more sophisticated, with parties using micro-targeting to reach specific groups, and social media working alongside the traditional ground game (think people knocking on doors) and air game (think TV news headlines). For campaigners preparing for the election in May there are 7 things you need to be thinking about. Its too easy to think of politics as something that is just about different parties, but it’s not, politics is about the choices societies make and we have a stake in them being the right choices – including challenging vested interests. If it wasn’t for campaigners engaging in politics, we wouldn’t have an arms trade treaty, equal marriage, climate change act, and much more. Thanks to the Lobbying Act there is lots of talk about if charities should get involved in politics, but the short answer is yes. As charities, you can’t engage in party politics, that is supporting one candidate over another, or providing an endorsement to one but not another, but we can, indeed we’re encouraged to engage in politics. 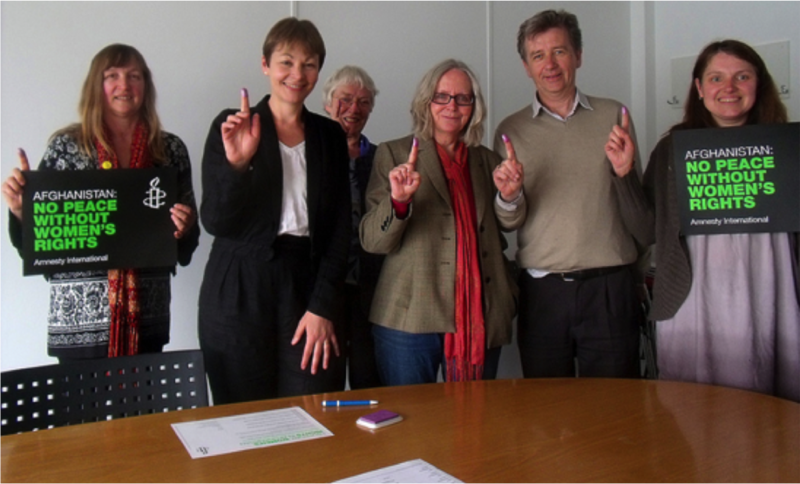 As we get ready for May, every campaigner should check out the guidance from the Electoral Commission on the Lobbying Act and the Charity Commission (Bond also has some helpful guidance) but that shouldn’t stop you from campaigning. 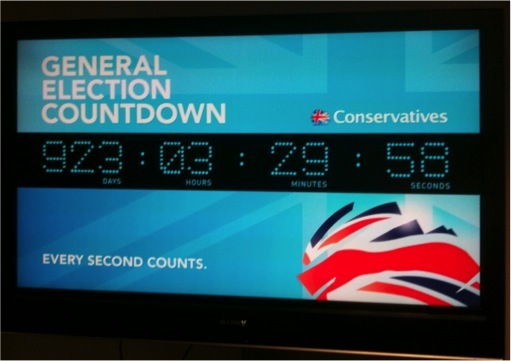 Walk into the HQ of all of the main parties and you’ll see countdown clocks on their walls. For them the election has already started, and it’s got a fixed deadline – 10pm on May 7th, the point when polls close and nothing else can be done. At the moment, in most constituencies’ candidates from any of the parties that hope to have a chance of winning will have been selected. For those candidates the most precious commodity they have is time, and as they get closer to the election, they’ll be thinking more and more about how they use their time to ensure they’re speaking to voters. Right now, candidates are busy, but not as busy as they will be in a few weeks time. Come the ‘short’ campaign, which starts on 30th March, candidates are moving from one event to other, and they’re already starting to plan now for then, getting going now means your campaign has a chance of establishing itself before its just another event or activity in an already busy day. There are few better ways of getting a sense of what people are thinking about than knocking on the doors as part of a party canvass, and as much as I’d like the top issues to be global poverty, climate change and world peace. More often than not its parking, poo, potholes, pavement and flytipping or welfare issues – housing, immigration, benefits. Occasionally global issues, but they’re rare. For any campaign that means making your issues local as well, that could be making connections to local figures or events, ensure your statistics are localised or finding local figures to speak out in support of your issue. Most candidates are keen to engage, they want to meet with voters, but remember they are time poor, so make it easy for them to engage with you and also their office staff. Behind ever candidate is a team who will be working hard and often making the decision about what events the candidate does and doesn’t attend. 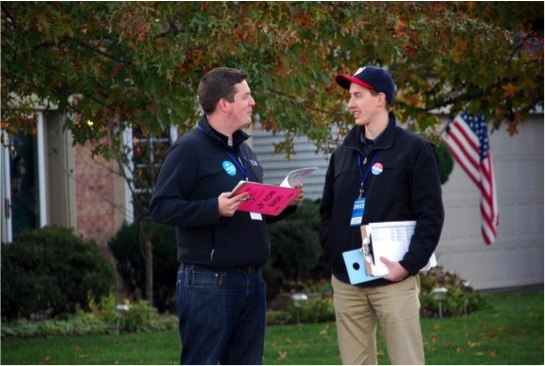 Provide candidates with something in return for engaging with your campaign, the opportunity to meet local voters, a photo they can send to the local paper or thanks on twitter. Also think about the medium of your message, most candidates will tell you that they’re already being inundated with emails and briefing papers, so what about video messages or infographic. Finally, think about how they can really support your campaign – what can they actually do. Don’t ask a candidate to vote a particular way in Parliament if they’re not (yet) an MP. One of the exciting thing about the upcoming election is I’m expecting more platforms that ever before to ask candidates the questions you want. As well a the traditional hustings, often organised by local churches, this election most candidates are on twitter and looking to engage, local papers will run election specials, the growth of online localised communities holding ‘ask the candidate’ discussions or raising it when someone comes to knock on your doorstep. Whatever you can ‘get on the record’ now could invaluable come May 8th. Heading into May, watching how parties respond to pledges is going to be interesting. Lots of campaigns ask candidates to sign pledge to show their support for an issue. It can an effective tool, but one I suspect many candidates will now approach with caution, especially as the possibility of a coalition government means MPs can be even less certain about what they can promise. The election may be over, but the hard work for whoever is elected has just begun. 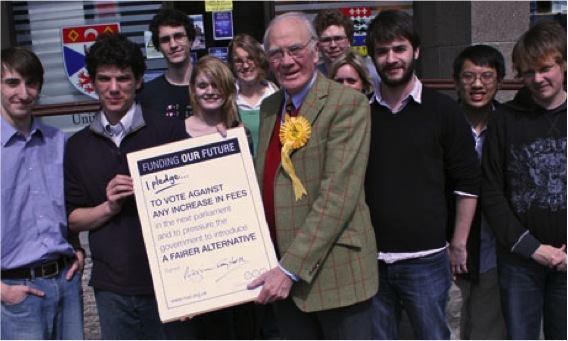 Be ready to follow up with those who’ve been elected, politicians are often accused of only appearing near an election but can the same be said of campaigners? Offer to come to meet with them to brief them on the issue, write to them, reminding them of what the said in the campaign and don’t overlook getting in touch with the candidates that weren’t successful – remember that they might be candidates in another election. I hope that most campaigners vote. I have a rule on election day, that you can’t show up to help get out the vote if you’ve not already voted. If we want to participate in campaigning, we need to vote. If your not sure you’ll be in your constituency on election day, sign up for a postal vote here.